What will be your next cheap car? 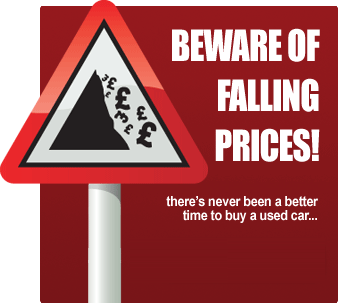 Are you searching for a great deal on a cheap used car? Then cheapmotors.co.uk is the website to help you source the second hand car of your dreams. Choose from hundreds of used cars for sale local to you. Buying cheap second hand cars has never been this easy! When choosing which used car to buy, it is vital to research a particular model thoroughly. On paper, a second hand car may look ideal but could be a dud with poor long term reliability, build quality and deprecation. Check lists such as the JD Power Survey which are created by polling owners about what their cars are like to live with. You will find some surprising results - Mercedes has fared badly in recent times; shocking considering its pedigree. The advantages of sourcing a cheap used car online are many - there's a huge choice of cars for sale, stock is updated on a daily basis; there's something to suit any budget; and prices can be compared with ease. Before deciding if you've found a bargain, do double check where the seller is located. If you've found a cheap used car, any savings you could make may be offset by the costly delivery/pick up expenses if the seller is several counties away. Viewing used cars online either at dealer websites or at cheapmotors.co.uk is becoming the norm for sourcing second hand cars. Check any ad thoroughly though - for instance, if the ad features no mileage details, then it will most likely have done many, many thousands of miles. Also, research the seller - use a search engine to see if any upset customers are venting their spleen by posting angry comments online about particular dealers. When phoning a private seller about their second hand car, make sure it is to a landline i.e. their home, not just a mobile number. Start with "I am calling about the car for sale". If they reply "which one? ", be wary - it could be a dealer flogging cheap cars they can't shift due to poor condition. If the seller wants to show you a used car anywhere but outside their own home, it may mean that they don't want you to know where they live because the car is dodgy. Whether you buy a used car through an online ad or via an auction site, it is essential to have a HPI check carried out. This checks if the car has a 'history' - whether it is stolen, is a write-off or has any outstanding finance owing on it. Also recommended is a vehicle inspection. This does cost in excess of one hundred pounds but that investment could save thousands in hidden repair costs later. Never pay the asking price until you've actually seen the used car you're buying. After all, does the car tally with the ad? Are the service records in order? Does the mileage reflect the car's appearance? Excessive stone chippings can betray its age. Also check that the car's VIN number matches the log books. Finally, before you buy a car, go to the AA's website, which offers a printable document that includes a legal contract for the seller to sign.